I eat a ton of oatmeal from October through April. I love something hot in the morning during the colder months. Every now and then I like to mix it up and I have been experimenting with grits, and I have found no better than the Tiny House Southern Seasoned Grits from the fine a folks at RogersMade. 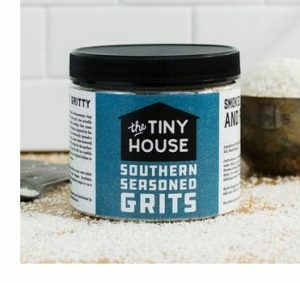 Find the Tiny House Southern Seasoned Grits from RogersMade here. See all the great items available from RogersMade here. Lost Cowboy is powered by	WordPress 5.0.4 and delivered to you in 0.824 seconds using 40 queries.